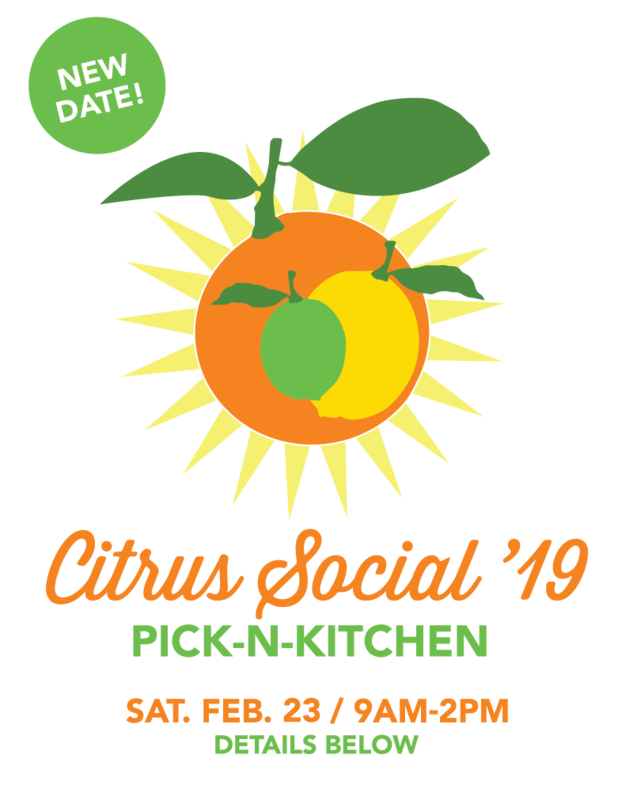 Please join us on Saturday, February 23rd from 9am-2pm for our Citrus Social ‘19 Pick-n-Kitchen. Our Pick-n-Kitchen events are a great opportunity to engage with neighbors and give back to our community. We promise you'll have a great time. So what happens at a Pick-n-Kitchen? We'll break into two teams: Harvest and Kitchen. The Harvest Crew will pick fruit from trees in our neighborhood (most of which would go to waste) and bring the haul back to our home base where we'll scrub them clean and get them ready to donate. The Kitchen Crew will collectively prepare a small portion of the fruit in our pop-up kitchen. This year we'll be working with Chef Brian Hirrel of Malibu Surf Sauce to make Lemon Pepper Marinade. Everyone who participates will be able to bring jar home with them. If you can, please bring a clean jar with you. And where does the fruit go? The majority of the citrus harvest is donated to A Place Called Home, an incredible community center in South Central LA, and the Downtown Women's Center, the only organization in LA exclusively dedicated to addressing the needs of women overcoming poverty and homelessness in Skid Row. Both of these organizations use the fruit to feed their communities.